Keyword generators are tools that provide keyword suggestions for paid and organic search marketing campaigns. Basing your search marketing campaigns on brainstorming and guesswork is a sure way to sabotage your results, so a keyword generator tool should be a big part of your keyword research strategy for PPC and SEO. WordStream's industry-leading website keyword tools deliver fast, accurate popular keywords and long-tail search queries that you can use to bring targeted, cost-effective traffic to your site. WordStream's free keyword generator tool is faster, more accurate and returns thousands more keywords than other popular keyword generators. As an added bonus, our keyword tool is completely free! We're able to offer better, more accurate keyword results because we constantly update a database with more than 1 trillion search queries from diverse sources. 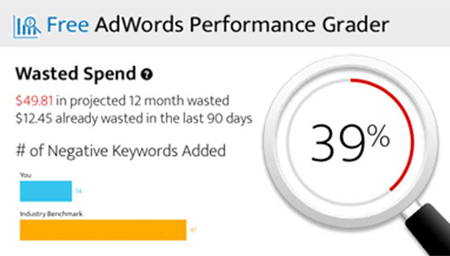 You need an AdWords account to use it. Not sure with WordStream's Keyword Generator. Long-tail keywords are rarely recommended because it is a tool designed for advertisers to find keywords that can reach a high volume of visitors. These might not be your most targeted or cost-effective keywords. While we're excited to see Google's Keyword Planner getting some cool new features, the issues with missing long-tail keywords and the necessity of having an AdWords account are big enough reasons for you to require additional keyword generators. Bing's Keyword Tool was designed very well as a keyword tool, but not as a free keyword generator. Looking for Traffic-Driving Keywords? Try Our Keyword Generator FREE! Get thousands of relevant keyword suggestions. More, faster, free! Keyword Suggestion Tool - Our super-fast, super-accurate keyword discovery tool is the best on the market. Keyword Niche Finder - The Keyword Niche Finder returns structured, organized suggestions. When your keywords are pre-grouped into related clusters, it's easy to put them to use on your site or other campaigns. Keyword Grouper - Already have a list of keywords? Just drop them into the Keyword Grouper and they'll be automatically and instantly organized. Negative PPC Keyword Generator: Our keyword generator suggests negative keywords that give you tighter control over budget, so your PPC campaigns can achieve higher ROI. WordStream is the only keyword generator on the market that offers all this. Take it for a test drive!